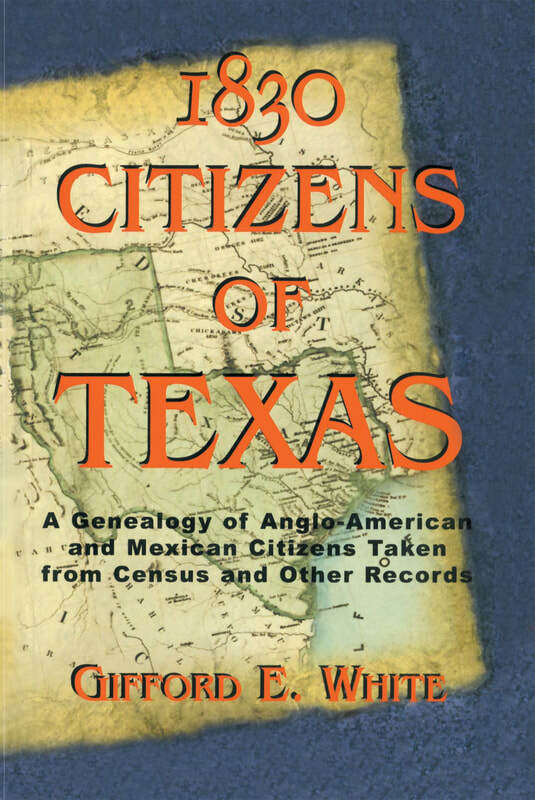 In 1830 census takers trudged door to door in San Antonio de Bexar and Nacogdoches gathering census data on the residents. Either they got no father, or else their other returns have been lost. Whichever, Gifford White finished the work they started. Included is every major contemporary list of known person in Texas in 1830. White often provides more information than the census takers had gathered — names of wives, dates of immigration, country or state of birth, or previous residence and occupation.